Hi there and happy fathers day to all the dads (and the single parents who have to do twice the work!!!). Firstly I have the fathers day card I made for my hubby … the best dad I could wish to raise our daughter with! And if you think it looks familiar… it is actually using the bits I created as part of the crafty session on Tuesday. I did change it up from the original a bit with the heat embossed heart, the additional panel to frame and the stamping on the side. 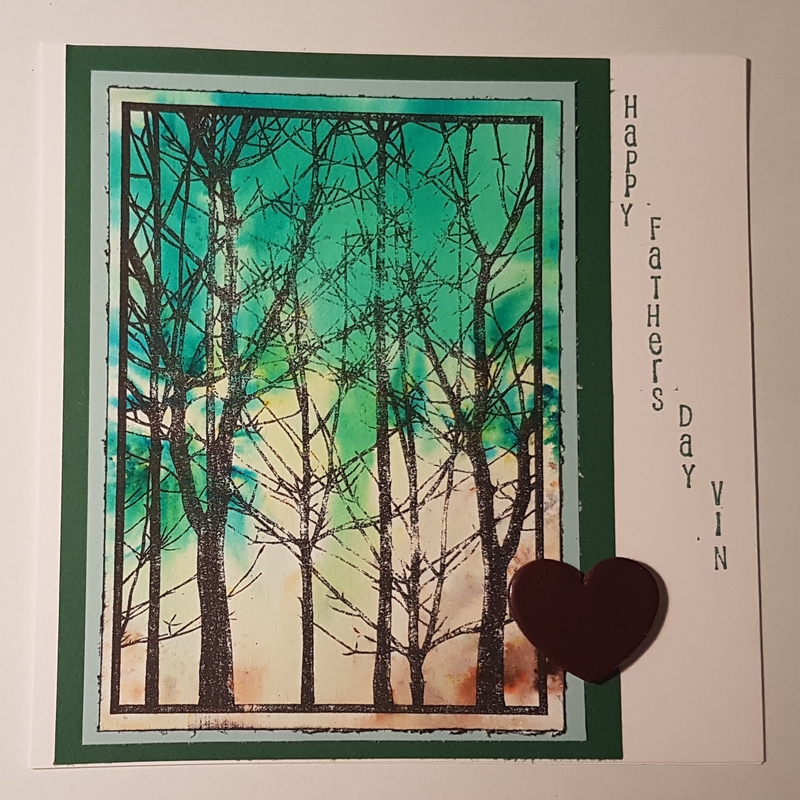 But otherwise it is the brushos background and the Indigo Blu bare forest stamp. I also didn’t get round to making exactly the same as the samples. In fact I’ve so far made one ATC and am part way through finishing a couple of cards off too! 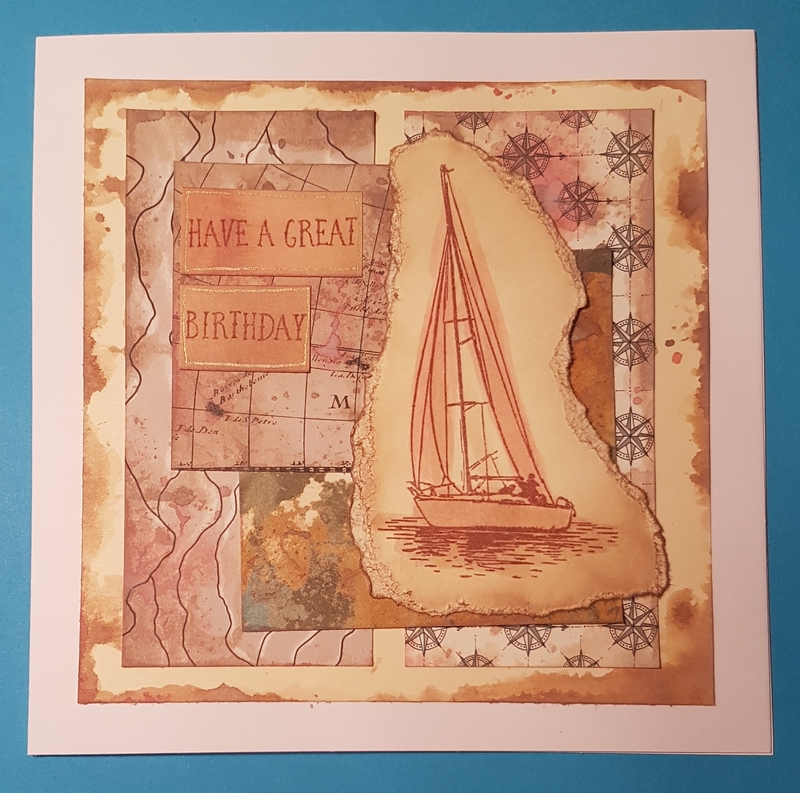 I used the green torn paper from the hot air balloon card and the car from the painted card to create this. 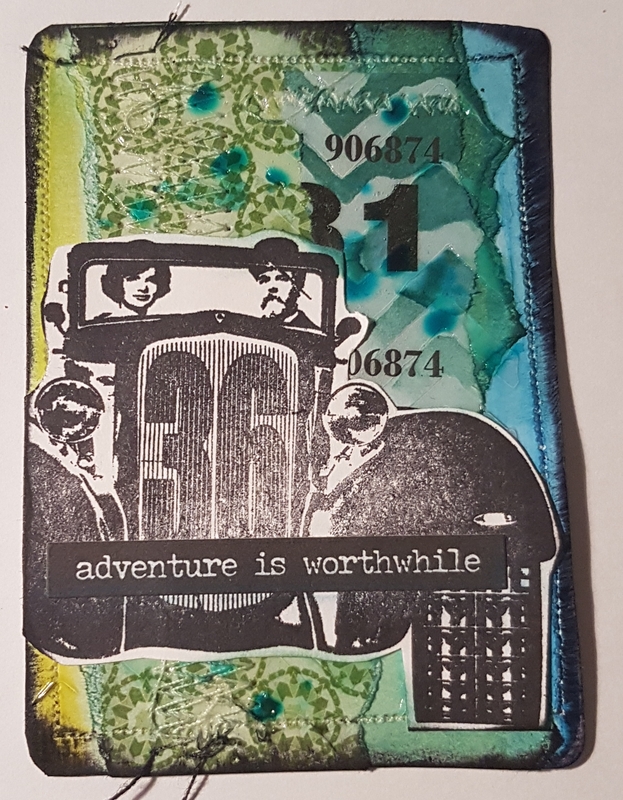 I just added some sewing and some texture paste through a stencil … oh and some raffle ticket bits too. Love how this came out. I also added some blue and yellow neocolour to the edges and then some black ink. I did finish one card in class… I only changed it a bit from the sample with a different focal stamp.